The moment we’ve all (or maybe just me lol) been waiting for is finally here! Yassssss - Christina's Choice 2016! Christina’s Choice isn’t sponsored, and the accolades given can in NO way be bought – companies can’t even send me products for consideration. And even if I review products (and really like them) – there’s still no guarantee that they’ll make it in the round-up. It’s literally just me, my stash, and a lot of hard decisions to make. Just because a product isn’t featured, doesn’t mean it isn’t good or that I didn’t really like it. In fact, there’s going to be some instances where a product I really, really enjoyed didn’t make the cut – because I can’t have a post with the best curl definers with like 8 different products. Again, all Holy Grails here. Nothing less. Yep, there’s a new category in town! So many new products dropped in 2016 – I’m going to give you my official vote on what was hot in my book! And of course, for each category, there will be a best, of the best, of the BEST pick aka my ‘Deserted Island Pick’. This is just for my readers who ask, "If you had to pick one...."
Are you ready? Let’s get this party started – with shampoos and co-washes! After a little reflection, I decided to separate this into two different categories because really, shampoos and co-washes can’t compete with each other (for obvious reasons). Hopefully you’ll find a new favorite among mine! The best of the best when it comes to the suds. You saw it all in this video. When The Mane Choice claimed this shampoo (along with the conditioner) could cut your wash day in half, I took them to task and was beyond impressed. Easy on the Curls DetanglingHydration Shampoo lives up to its name – providing slip for easy workability through the curls (as a shampoo – hello! ), hydrating the hair while cleansing, and not stripping it bare. It’s gentle enough to use regularly, while tackling all sorts of build-up and residue. Plus, thanks to retailers like Target, Sally’s, and Rite-Aid – you can find this shampoo easily on the ground! Read More: Can The Mane Choice REALLY Cut Wash Day in Half? If you live for the minty tingle, then you’re going to absolutely love the Inahsi Naturals Soothing Mint Sulfate-Free ClarifyingShampoo. It’s minty (but not overbearingly so), has a thinner consistency than most clarifying shampoos (which I love), and even has slip (which I love the most)! It’s jam-packed with ingredients great for the curls and scalp – and gets the job done with removing serious product, oil, dirt, and debris. I had a HARD time deciding between this and the Be Kekoa Be Clair that won in 2015. Inahsi Naturals took the sliiiight edge because I like the thinner consistency of the shampoo. Gah! It was such a hard decision – but in the end, here we are. And that’s what Christina’s Choice is all about. I’m hoping to see great things retail-wise from Inahsi Naturals in 2017 – the world needs to know! 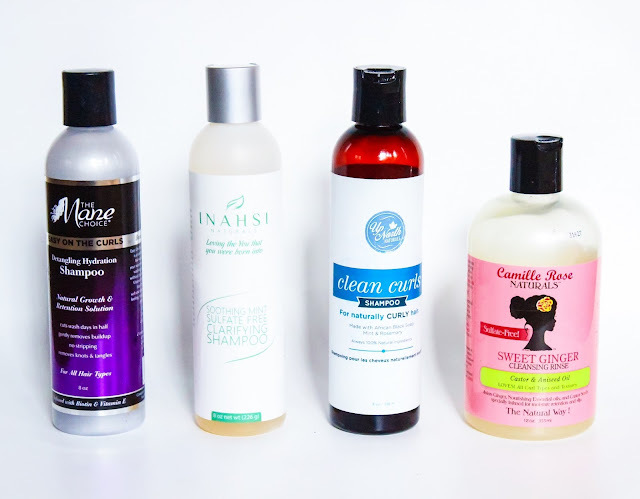 Read More: Co-Washing vs. Shampooing vs. Clarifying - What's the Difference? TWO YEARS IN A ROW SO YOU KNOW IT’S REAL! Everything I said about Up North Naturals Clean Curls last year still applies. Still all-natural (perfect for the African black soap lover in your life), devoid of sulfates of any kind, super slippy, sudsy, and all-around awesome. I can't get enough. 👏I 👏can't 👏get 👏enough! There was a lot of hype around Sweet Ginger Cleansing Rinse, and for a while I was doubtful. I thought to myself, "it’s prolly cool – but not anything I need." I. Was. Wrong. Some of my IG peeps tried to tell me that Sweet Ginger Cleansing Rinse was dope, but I was hard-headed and got on board way late in the game. While the slip isn't totally on par with some of the others in this category, it's there and absolutely does not give the hair that brillo, crunchy feeling upon contact. What it does do though, is make my hair feel AMAZING. Like, co-wash amazing. I promise - shampoo twice with Sweet Ginger Cleansing Rinse, and throw everything you thought you knew about shampoos out the window! Inahsi Naturals for the WIN! 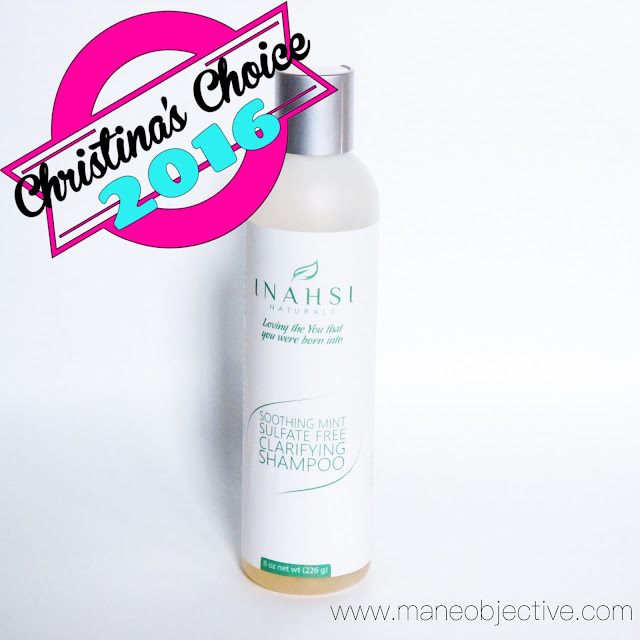 Wouldn't you know it - Inahsi Naturals Soothing Mint Sulfate-Free Clarifying Shampoo earned the coveted Deserted Island Pick award this year! Quite simply, it hits ALL the marks for a great shampoo and a fuss-free wash day. Plus, that minty fragrance and feeling enhances the wash day experience that much more. Oh, and it's on sale for $9.99 right now!!! For my no-poo/alternating wash day ladies! 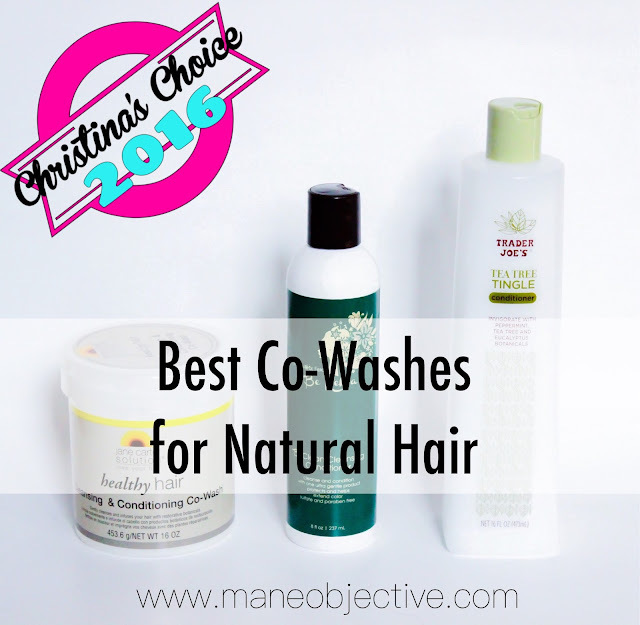 The entire point of co-washing (aside from taking a break from shampoo) is to make the life of a naturalista easier. That means detangling, adding moisture, and making the curls pop while gently cleansing the hair. Much to my surprise, I became instantly OBSESSED with the Jane Carter Solution Healthy Hair Cleansing & Conditioning Co-Wash that debuted this year. From the flip lid (which I can't seem to find on shelves anymore...sigh), to the super slippery realness with amazing botanical ingredients, I knew this co-wash would be an awesome companion in my natural hair regimen. Jane Carter definitely knocked it out the park with this one! Come on y'all, seriously? Did you really think I was gonna make this list and not include Bae Clean? Like, forreal? I'm pretty sure I don't even need to type this paragraph for y'all to understand the love that runs deeeeeeeeeeep for Be Clean Cleansing Conditioner. I love this product so much that I re-named it Bae Clean, without permission of course. It's the yin to my yang, the match to my fuse, the filter to my IG, the prime to my Amazon. Bae Clean is quite literally everything to me. When I said Be Kekoa swooped in and switched up the game, I meant it. If you haven't experienced Bae by now, you're trippin. Like seriously, why are you still even reading right now? Go get you some. It's the slippiest, gentle cleansing-est (while still removing buildup), good smellin', scalp invigorating co-wash I've ever used IN MY LIFE. Every naturalista should give this a go at least once. It's the perfect multi-functional conditioner. Thanks to the botanical ingredients (and price point), it makes an excellent co-wash that you don't feel guilty about going heavy handed with. It's great for detangling, has excellent softening and moisturizing properties - so much so that you can even use it as a leave-in if you like. Plus, it's from Trader Joe's. And they can (almost) do no wrong in my book. So you KNOW it's real! Two years in a row, Be Kekoa's Be (Bae) Clean Cleansing Conditioner is the GOAT. My love for Bae Clean runs deep, so much so that I don't even bother with 8oz bottles (unless I'm traveling). I stay stocked with the salon sized bottles. When I'm down to my last salon bottle and it's halfway empty, I start having heart palpitations. You can call the Be Kekoa salon and they'll tell you -- Christina will drive to Temecula for some Bae Clean. And then have the nerve to clear out the in-salon stock, without shame or apology. I don't play with Bae. And if you're driving down to get some - I hope you arrive to the salon before I do. What shampoos and co-washes are winning with you as we go into 2017? Any on this list you're anxious to try?Let me know in the comments below! Stay tuned - deep conditioners are up next! Keep up with all Christina's Choice 2016 pick here! 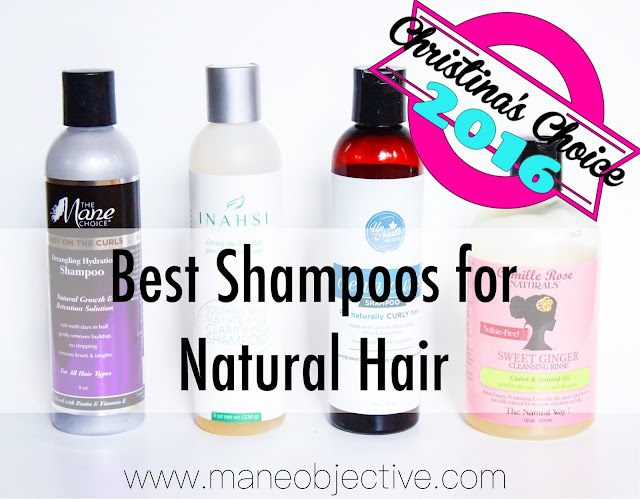 Check out Christina's Choice 2015 winners here! Curl poppin', sneaker shoppin' blogger and photographer born, raised and living in Los Angeles. Unashamed to admit that I live in gym clothes - even when I'm not working out. .
Lol, and these are the tough decisions. I still really like the tgin shampoo. But I have to think loooooong and hard about best, of the best, of the best. It's a super tough call to make! Makes sense! If you had to pick between The Mane Choice and Camille Rose which one would you pick? I'm in love Alikay Naturals Cowash Me Cleansing. I've even used it as a leave-in. Great post. I’d like to mark like this too taking occasion and genuine hard work to create a huge article but I put things off to A large quantity and custom essay never seem to get In progress even though I wrote this article I am in reality happy with article quality and administration. Thanks a lot for preservation huge stuff. I am extremely a good deal grateful second-hand for this place. Thanks for such a great list of hair products! I try to write my research paper for cheap next month, so I could afford some of these items. Does Olaplex Work on Natural Hair? Olaplex No. 3 vs. Ion Absolute Perfection - Which One ACTUALLY Works for Natural Hair? Thinking About Coloring Your Natural Hair? Weigh the Pros and Cons First. Sis, You're Doing Too Much. It's Time to Pick a Regimen.